ON THE GO OC - Things to do with your family. : Star Wars Days at Legoland June 3rd &4th! Star Wars Days at Legoland June 3rd &4th! Star Wars Days are Back at LEGOLAND CA! 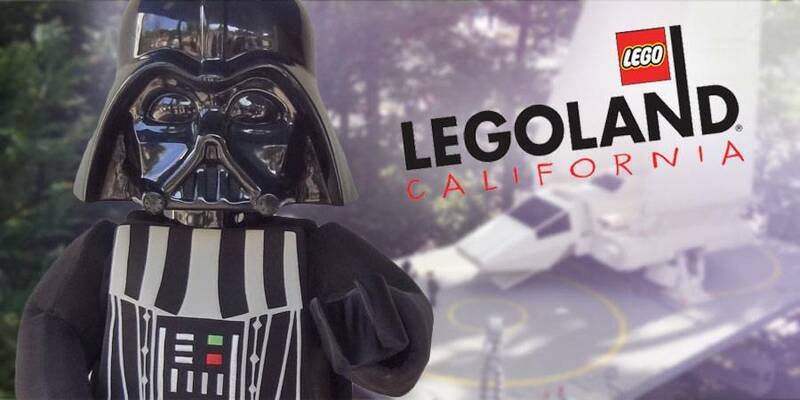 Head down to LEGOLAND CA and use the Force to enjoy a day over this weekend of Star Wars Fun! Follow along on social media with #BuldTheForce ! Legoland CA is amazing... there is always something fresh, new or a special event to support family fun! Grab a scavenger guide and solve LEGO Star Wars™ trivia questions by searching through 7 LEGO Star Wars™ model scenes inside LEGO Star Wars™ Miniland. Meet your favorite characters from a galaxy far, far away! Come dressed to impressed and show off your best Star Wars™ costume for a chance to win! Open to all children 12 and under. Fans of LEGO® Star Wars™: Droid™ Tales are in for a treat! On both LEGO® Star Wars™ Days, we’ll be airing all five episodes of LEGO® Star Wars™: Droid™ Tales at the LEGO Show Place theater, and on Saturday, June 3rd we’ll also be joined by the show’s writer and executive producer, Michael Price, for a special Q&A after each episode showing! Are you a true Star Wars™ fan? Put your Jedi™ knowledge to the test! Master your Force in the heat of battle with the LEGO® Star Wars™ games. Check out impressive LEGO Star Wars™ models and photography created by fans just like you! LEGO Star Wars™ Days exclusive giveaways! Quantities limited, while supplies last. May the Force be with you while you are enjoying all the Star Wars Days Fun at LEGOLAND CA!